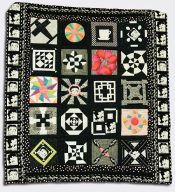 Pamela Leonard Wexlerhas sewn nearly all her life. 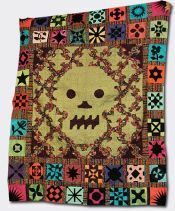 She grew up in California and as a theatre major at the University of Denver, Pamela worked on costumes for various theatrical productions. As an actress in New York, Pam worked in theatre, did voice-overs, and many commercials. 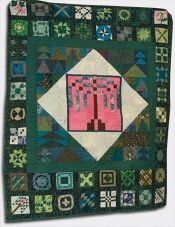 During a commercial strike about 1981, Pam, with some time on her hands, picked up quilting. She hasn't stopped since! 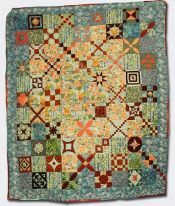 Pam largely works on traditional quilts but has explored various methods including quilted garments. 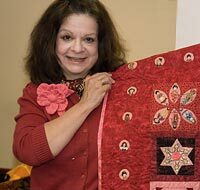 In 2003 Pam took her first Dear Jane class and became an avowed "Janiac" producing numerous Dear Jane quilts. 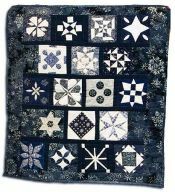 She shared several of these fabulous quilts with us this month. Thank you, Pamela!